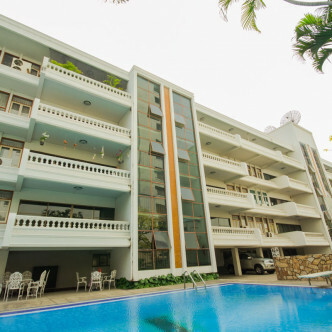 Aree Mansion was completed in 1981 and features just fifteen units that are situated on five floors. Pets are permitted at Aree Mansion, while this building is also ideal for families who have young children. Each of the rooms here features large picture windows that provide plenty of light, while the apartment is also furnished in an inviting modern style. 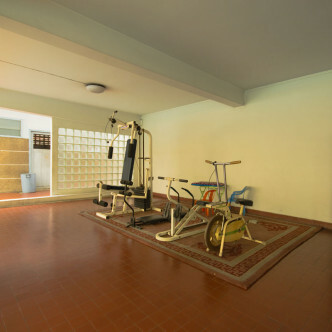 Residents at Aree Mansion can make use of a wide range of facilities. In addition to a large outdoor swimming pool, the building features storage space as well as a laundry room that is open around the clock. 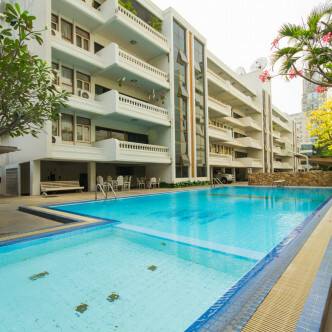 The swimming pool is also surrounded by a large recreational space for residents to unwind in. 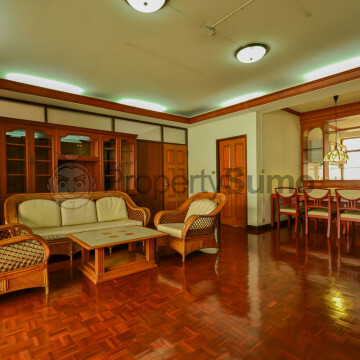 The location of Aree Mansion is Sukhumvit soi 26, which is located in the Phrom Pong district of Bangkok. 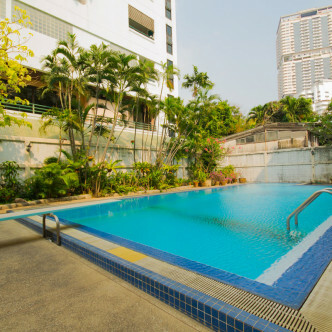 Phrom Pong BTS station is just a few minutes away on foot, while the nearest MRT station is at Asoke and is also within walking distance. The Phrom Pong district features a wide range of different types of restaurants as well as a thriving nightlife scene, while shopping centres such as Big C and Emporium can be found close to Aree Mansion.